GerbTool is a robust suite of PCB CAM tooling and analysis software. 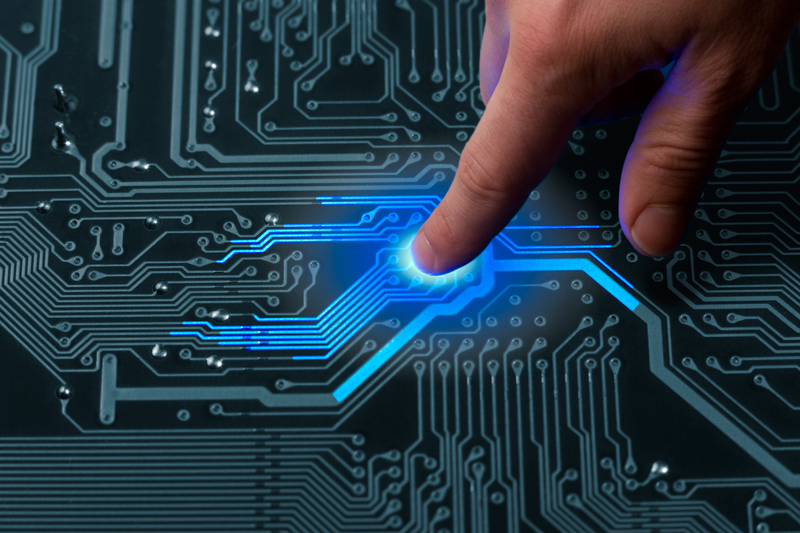 From basic visual verification to powerful Design Rules Checks (DRC) and Design For Manufacture (DFM) analysis, GerbTool provides all the functions you need to ensure the production of high-quality PCBs while reducing cycle times and time-to-market. Regardless of your role within the design process, you can use GerbTool to ensure the production of high-quality PCBs. Add flexible pricing, convenient and responsive customer support, and you have an unbeatable CAM tooling and analysis software package. Gerber Verification: From its Import Wizard, which can handle 274D, 274X, Barco DPF, Fire9000, DXF, NC Drill, and NC Mill data automatically, to its straightforward visualization capabilities, GerbTool is ideally suited to handle a broad range of Gerber verification requirements. Outline and sketch modes, as well as transparent overlay of layers, help you quickly see how one layer interacts with others in a given stack-up. Graphical layer comparison capabilities make checking differences between revisions a snap. Even quick netlist generations can be performed, allowing you to query any track quickly and see how it connects throughout the rest of the board. Design Verification: Many users have found that simple visual verification of their Gerber data isn't enough. GerbTool is still there to help you with its Dynamic DfM Analysis Suite that offers 75+ Design and Manufacturing checks*. GerbTool provides everything from traditional spacing checks, like track-to-track or track-to-pad, to more serious manufacturing specific checks like acid traps, copper slivers, solder mask sliver/webbing. One of the most popular design verification capabilities GerbTool offers is its graphical netlist comparison with pin-point error detection. Compare your Gerber data set against any IPC-D-356 netlist, or use netlist information extracted from ODB++ or PADS ASCII files, and quickly zoom to any shorts or opens in the workspace. Manufacturing Optimization: These days, there is more to processing Gerber data than just taking a quick look and passing it on to your fabricator. For many, design complexity has mandated additional need for things like solder masks and particularly paste masks. GerbTool offers a rules-driven environment that automatically generates solder and paste masks, providing you with consistent and accurate masks for every design you process. Additional stencil enhancements can be made to paste masks using IPC-7525 shapes. A rules-driven environment is also provided for stencil enhancement, allowing virtually unlimited shape sizes and placements. Panelization for fabrication or assembly may be accomplished with the Advanced Panelization module, which can be configured with user-defined panel templates, and can step a single design or multiple designs within the same panel frame.